The Senate will be voting on two dueling proposals Thursday to reopen the government. The first is President Trump's proposed compromise for border wall funding in exchange for an extension of DACA and TPS, while the second is a clean continuing resolution that would fund agencies through Feb. 8. The state of play: Neither bill is expected to get the 60 votes necessary to pass. 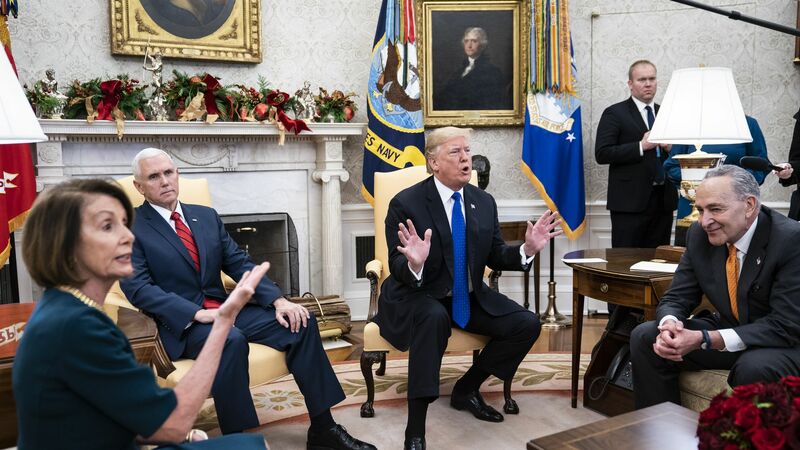 Democrats have said they will not negotiate on border funding until the government is reopened, and are expected to have the votes necessary to block Trump's proposal. Neither Trump nor Senate Majority Leader Mitch McConnell will be supporting the second bill, which originated in the Democrat-controlled House, CNN's Manu Raju reports.